FREE delivery to United Kingdom in 7 - 8 weeks. The relaxing contours of the Oblong lounge chair provide the supersize comfort of a recliner, while being lighter and more comfortable than an overstuffed seat. Both the seat and backrest slope gently backwards, making Oblong relaxing to recline in. Crafted from two padded discs attached to a minimalistic frame, the chair’s fluid form and geometric profile recall shapes more typical of contemporary art than furniture design. Oblong was designed with an open base that allows light to pass through, enabling this low-slung chair to fill a small space without appearing to crowd it. 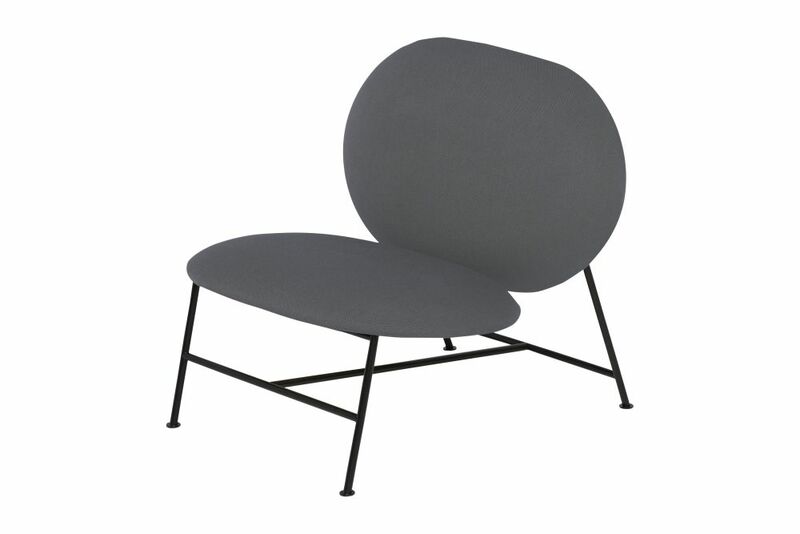 Although lightweight and comfortable, the chair’s frame forms a stable base that keeps the feet firmly in place. Known eponymously as Morten & Jonas, Norwegian designers Morten Skjærpe Knarrum and Jonas Norheim need no further introduction. They established their studio in Bergen, Norway after receiving masters degrees from the Bergen Academy of Art and Design. The designers create cutting-edge products, furniture and interior architecture marked by curiosity, imagination and humour. Morten & Jonas’s point of difference is being able to add design to social agendas, famously enlisting the help of incarcerated men and women to manufacturer their Bake Me a Cake table lamp in 2013. Since then, Morten & Jonas have produced a second and third design for Northern Lighting – the multi-functional Say My Name lamp and Me floor lamp – as well as earning several awards and having their work exhibited internationally.